Plans map your path, list what it takes to get there, and what needs done first. They're the essential ingredient to making sure your rocket has enough fuel, that you have a team ready to launch it, and that you actually build the rocket in the first place. They're what make project management work. There's no set way to make a plan, nothing you must do to get from zero to hero. But there are a handful of popular project management strategies, dozens of project management apps, and an entire ecosystem of tools to gather feedback and set deadlines and track time and manage those projects. You're ready to launch that rocket, but first, it's back to the basics. 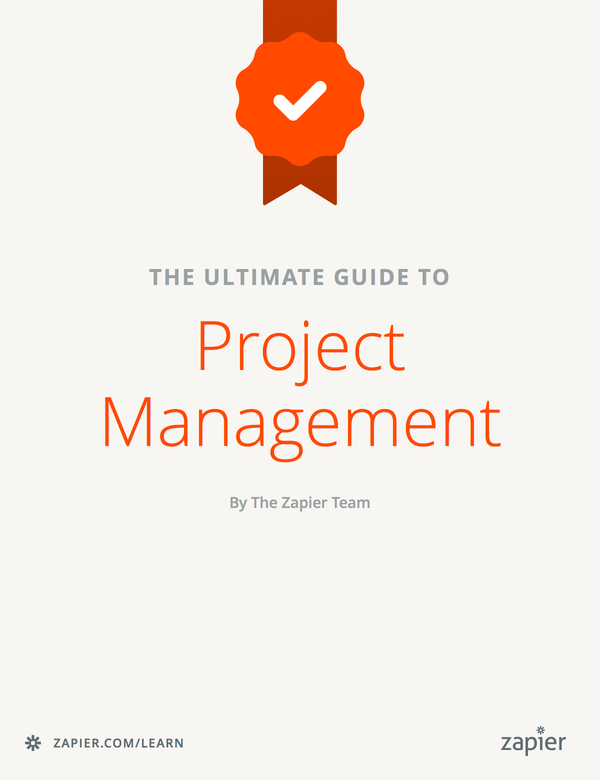 Each download includes a copy of the eBook in the format you want, along with a PDF cheat sheet to help you choose the best project management app for your needs. Written by the Zapier team with content from Matthew Guay and Danny Schreiber, along with freelance contributions from Jane Callahan, Belle Cooper, Jonathan Chan, and Genevieve Conti.